The Plymouth Yacht Club is seeking a Dockhand for the 2019 boating season. 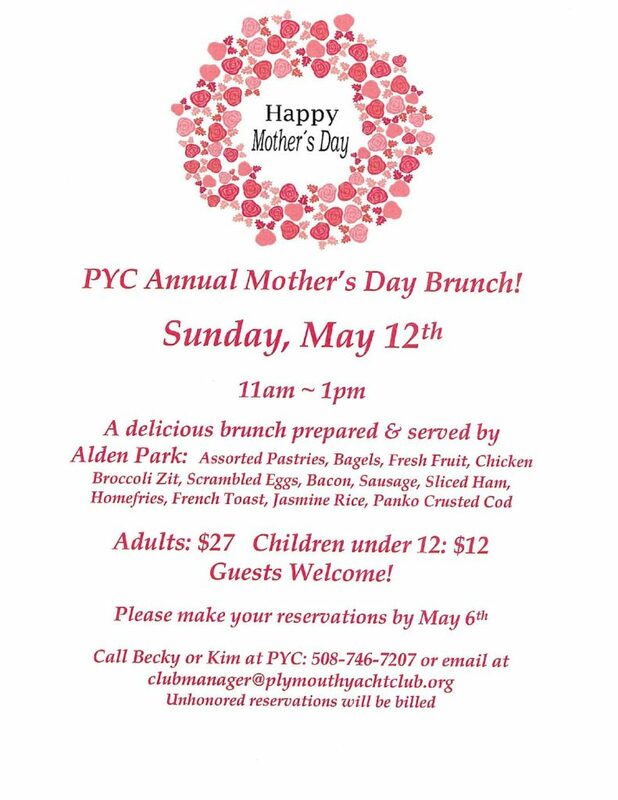 Please inquire details with Club Manager, Becky Darsch 508-746-7207 or email at clubmanager@plymouthyachtclub.org for more information. Please join us for our Annual Spring Planting and Cleanup. Saturday May 4th. Volunteers needed at 8:00 am. May 4, 2019 is PYC Float in Day. Volunteers needed at 9:00 am. Launch service will start the following weekend. Help celebrate this special day with family and friends. Enjoy a delicious brunch menu provided Alden Park. Saturday, May 12th 11:00 am – 1:00 pm. Before you purchase your dinner tickets, please inform your server if a person in your party has a food allergy. Smoking is permitted in designated locations only. The corner of the paved parking lot and the gravel parking lot. At the end of the hedges. Outside corner of the Harborview Room. Outside the lower level kitchen, the fence. May 4th – Celebrate Kentucky’s Big Race!